Rashford burst onto the scene in 2015 as he banged in a brace against Midtjylland to become the club’s youngest ever scorer in European competition. He had just turned 18 and he broke a record previously held by George Best. Three days later he scored twice and provided an assist to lead his club to a famous 3-2 win over Arsenal and a cult hero was born. Since then he has been used sparingly by Louis van Gaal, Jose Mourinho and Ole Gunnar Solskjaer, but his potential is vast. In March 2018 he scored twice in a match-winning performance against Liverpool, and he has also put Man City and Chelsea to the sword, showing he is a big game player, while he is already a fully-fledged England international. It is time to unleash him fully and give him a starring role alongside Anthony Martial and Jesse Lingard in a dynamic young attack. 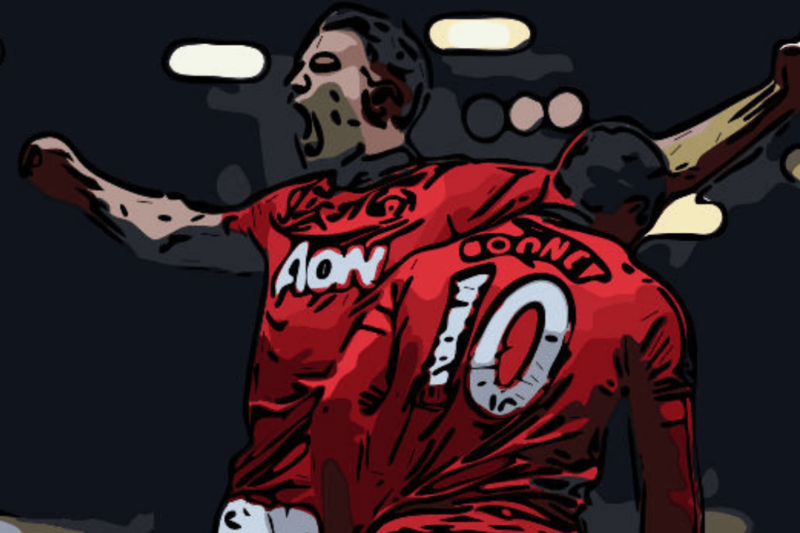 A glance at the odds on a highly rated site such as BetOnline will show you that Man Utd are underdogs to get into the top four this season, but with Rashford firing on all cylinders, they could certainly prove the odds compilers wrong. The Bulgarian fired in 20 league goals in 2010-11 to seize the Golden Boot and inspire the club to the title. Berbatov scored three hat-tricks that season, becoming the first Man Utd player to do so since the legendary Ruud van Nistelrooy in 2002-03. The club made him their record signing in 2008 and he arrived with a big reputation, but his career at Old Trafford had its ups and downs. He was frequently dropped to the bench and overshadowed by a couple of his teammates, and some supporters criticised him for appearing lazy, but when he was on song he was a joy to behold. Effortlessly classy, a dazzling blend of grace, vision and skill, he was worth the entrance fee to the Theatre of Dreams alone. His hat-trick to hand Man Utd a 3-2 win over Liverpool should ensure he is remembered fondly by the majority of fans. Man Utd certainly did not get peak Zlatan, but even in his mid-30s ,the Swedish striker lit up the Premier League. Famed for his brash persona, outspoken comments and predilection for referring to himself in the third person, this whirlwind of a forward has won 32 trophies in his career and scored more than 500 goals for club and country. He blazed a trail of destruction throughout Serie A, La Liga and Ligue 1 during his time at Juventus, Inter, Barcelona, AC Milan and PSG, and the only regret is that he did not play for Man Utd earlier. Yet he still led a struggling side to Europa League glory and scored twice in the league cup final to keep up his record of winning silverware everywhere he goes. Some managers get a watch or a case of wine as a retirement present. Ferguson got van Persie. The Dutchman had just won the Player of the Year award at Arsenal and Fergie knew that he could fire Man Utd to one last title triumph before he stepped down from the club. He persuaded his old adversary Arsene Wenger to do business, and RVP duly delivered. He scored 26 league goals and that made all the difference as Ferguson signed off his Man Utd career in style. The following seasons were a write-off, and van Persie will never be treasured like Eric Cantona, van Nistelrooy, Solskjaer, Andy Cole or Dwight Yorke, but his level of performance in that season was sublime. Rooney became Man Utd’s all-time record goalscorer when he whipped in a free kick against Stoke in January 2017. He will go down in history as one of the greatest strikers ever and all his best years were spent at Old Trafford. Man Utd were the best team in the world when they had Rooney, Ronaldo and Carlos Tevez in full flight, and he carried the team at times in the post-Ronaldo era. He scored 26 league goals in 2009-10 and 27 in 2011-12, and his highlights reel goes on and on. The volley against Newcastle, the title-winning overhead kick against Man City, his 60-yard lob against West Ham… his career at Old Trafford was peppered with screamers and he is assured of legendary status at the club. Founder and Editor-In-Chief of the Ronnie Dog Media Group and therefore TO2H, follow me on Twitter. Clive Thomas – The First ‘Celebrity Referee’?